Some tanks are used for storage, holding critical liquids that are used in manufacturing processes, while other tanks are used as a reactor. 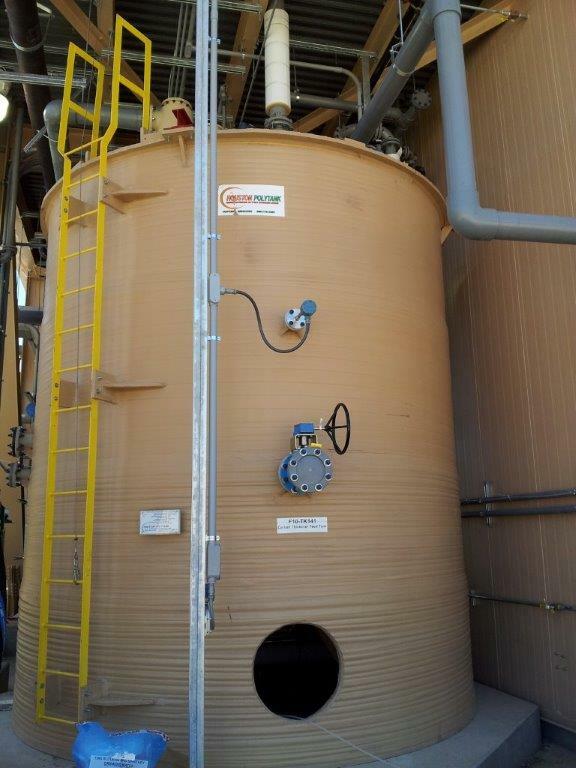 If you need to mix liquids or cause a chemical reaction as a part of your manufacturing process, the type of tank you use is extremely important. Chemical reaction engineers apply chemical kinetics to industrial systems in the production of the wide variety of manufacturing processes. The tanks used as reactors need to be sturdy enough to withstand the effects of these chemical reactions and must be engineered to accommodate the elements necessary to promote the desired reaction. Sometimes it is beneficial both from the standpoint of economy and manufacturing efficiency to operate several reactor tanks in the series. This allows each one to operate in its own concentration and its own reaction rate. Houston Polytank’s extrusion wound tank is custom engineered to order, which means you can enjoy the right economies of scale, order only what your process needs, and get exactly what you want. Want to find out more? Check out details about our tanks here. If you’re looking for a reactor tank for your manufacturing process, feel free to give one of our engineers a call!